You must make reservations at least 5 minutes in advance of the time at Poor Calvin's. FREE Car Service, provided by Uber, for all Midtown and Downtown hotel guests. Call for scheduling or mention in your reservation notes. The host/hostess will contact you prior to your reservation time. Be advised, this service may be limited to return trip only, based on inclement weather and availability. Private parking lot adjacent to restaurant, with additional street parking along Piedmont and Renaissance (No Parking Fee). Friday and Saturday: VALET Complimentary valet provided by City Parking Solutions Inc. Additional parking along Piedmont and Renaissance with side walk to restaurant. Poor Calvin's cannot guarantee parking. A short walk from Civic Center and North Ave. Marta train stations. FREE Car Service, provided by Uber, for all Midtown and Downtown hotel guests. Call for scheduling or mention in your reservation notes. The host/hostess will contact you prior to your reservation time. The ambiance fills the restaurant, from live music played by a superb group of musicians. Make reservations today for a weeknight you won't soon forget! Drink Specials on all Hair of the Dog cocktails. 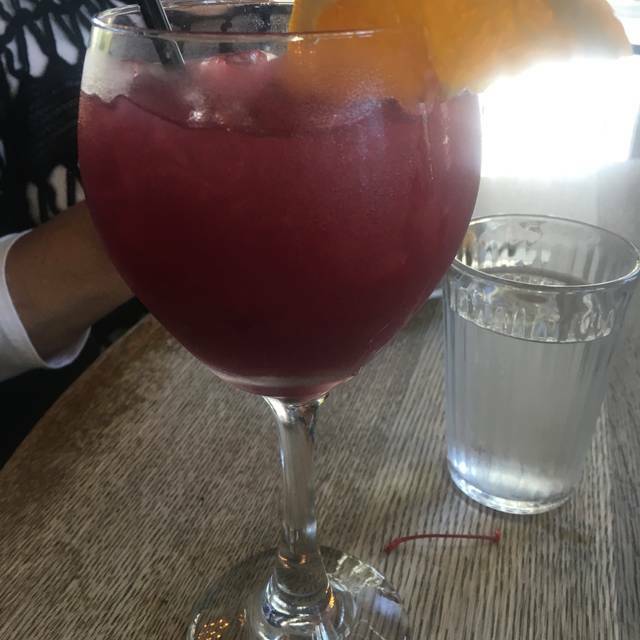 Including: $ 4 Mimosa, $5 Sangria and more. E-mail Calvin Phan calvinphan@icloudd.com for catering service availabilities and details. We know the word "fusion" has been wielded about to justify everything from Hula Burgers to Mexican lasagna. But the East-meets-South brand of fusion happening at Poor Calvin's? It's creative; it's innovative; and it's probably unlike anything you've tasted in the ATL. After working in kitchens around the world, Calvin Phan wanted to shake things up a little. And so, into the mac 'n cheese, the Thai spices went. Now, Calvin's giving Southern staples, like sea bass and fried chicken, a decidedly creative Asian-inspired twist (and a nip of spice, too). We didn't think good old-fashioned mac 'n cheese could get much better. And then, we tried Calvin's ridiculously rich take on the cheesy classic, gussied up with chunks of lobster and given a zing with Thai spices. This, and more innovative dishes, approached in much the same way, leave the hands of Calvin Phan day in and day out. His dedication and attention to detail are evident in each dish and dessert. You won't be disappointed. We were excited to bring one of our close friends who was visiting to eat here. A few weeks ago on our anniversary we ordered the seafood curry and substituted the shrimp because of my allergies. Tonight they said it’s not possible so we didn’t order it. Crispy beef was good. Lobster Mac-n-Cheese was a bit different but still good. 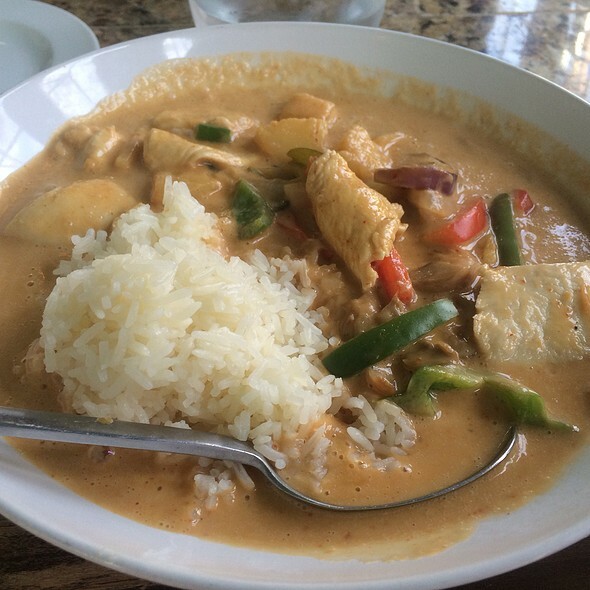 I prefer the old menu when the fried grouper was included with the Thai curry. Please bring that back. We dined at Poor Calvin’s last year during a conference and knew this year we had to go back again. The food is amazing and the ambiance is perfect but Sylvia is AWESOME! The food was fantastic and the ambiance was excellent. 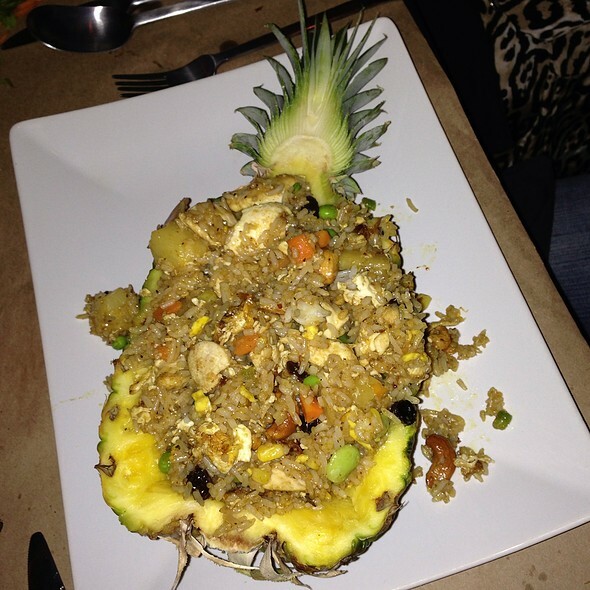 I loved the Lobster fried rice. My wife had the Fried Chicken with lobster mac and cheese, which she loved as well. I will the say the price seemed a little high compared to the location's appearance. The prices were what I would expect from a more "high-end" looking restaurant. However, all in all I was very happy and would definitely come back. The food was great. 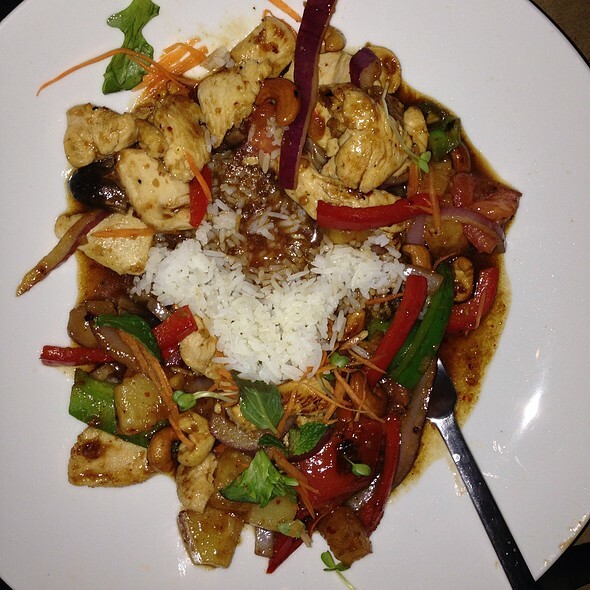 Our server was very knowledgeable about the menu and did great with offering suggestions. My experience at Poor Calvin’s was phenomenal! The food was delicious! The service exceptional! Eating at Poor Calvin’s is one of the best dinning experiences that I’ve ever had! We had a relaxing Easter brunch that was exactly what we wanted complete with a delicious cocktail. 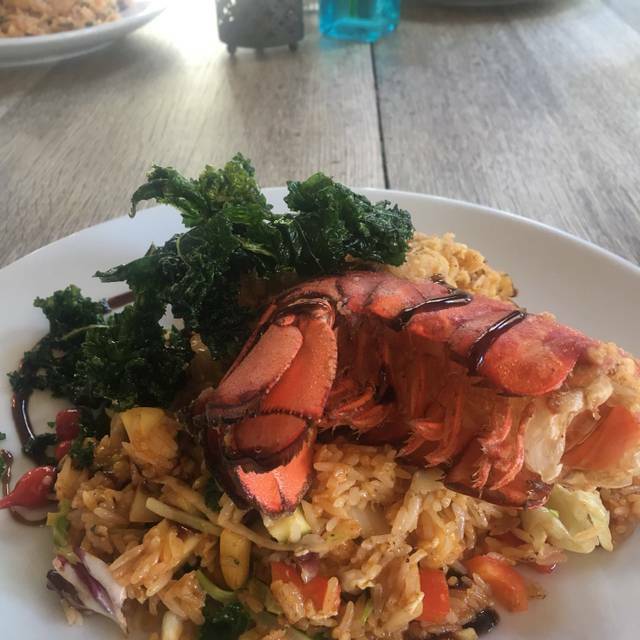 The lobster fried rice doesn’t disappoint. Went for Brunch , the items we had were not appetizing but everyone else looked like they really enjoyed their meals . Grits and and fish were mushy , Devil Eggs were ok and my daughter said the coconut shrimp were good but the main dish of chicken and Mac and cheese were not appetizing, especially the Mac and cheese . Seasonings not a match and the visual did not make you want to eat it . Nothing special about this place! How hard is it to cook rice? Was pretty dry and cold, so what did they do... add some water and put it in the microwave. My dish was supposed to be sweet and spicy, but it was all sugar. The food was amazing which is an understatement. The cost is reasonable too for the quality of the food. The drinks and desserts are delicious, I can't wait to go back. The food and service were excellent. Be forewarned that the collard greens are extremely sweet. 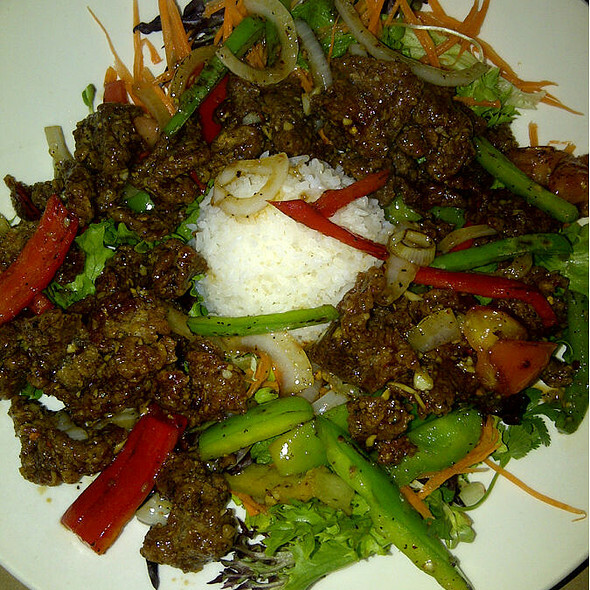 The crispy beef was delicious. The fried chicken is very tender. 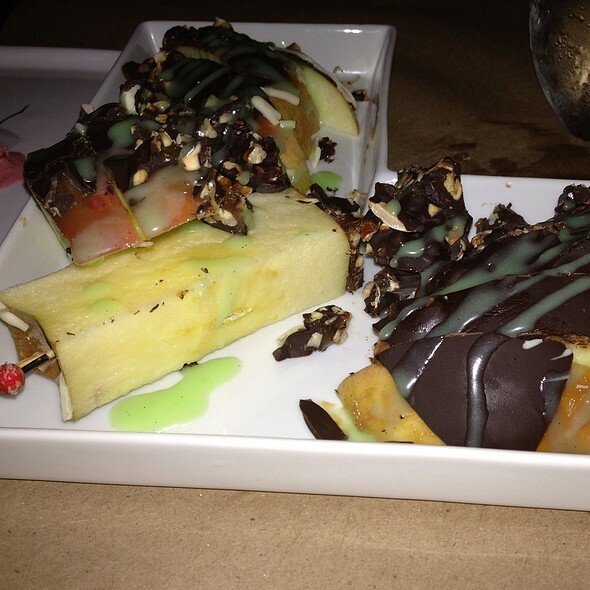 The desserts are shareable and delicious. Will definitely return. So this is a very mixed review for me. Our server was very sweet, however it took awhile to receive our drinks. My son had a sprite, but my drink was very good! Before ordering, I explained to the serve that my son doesn't eat meat or seafood, as he has high allergies, and asked for the lobster mac and cheese, no lobster, and aside of white rice. I asked for a suggestion for mine, and the lobster rangoon was delicious!!! The blackberry compote on top...amazing! They brought my son's food out with my appetizer which I appreciated, however the mac and cheese was so spicy that even I couldn't eat it. I mentioned that it was way too spicy and that it didn't' mention that anywhere in the description. Needlesstosay, it wasn't taken away or off the bill either. Now the server suggested the scallop curry which was again, amazing! As I was eating, I heard her describing the desserts to the table next to us. When we caught eyes, I smiled and said I already know what I will be ordering for dessert. About 15 minutes later, she came to our table and asked what we planned to order for dessert as the kitchen was closing. The first thing I asked for she said they couldn't make it anymore, then the second thing I asked for she actually came back and said they couldn't make that either because they had already dumped the oil. How terribly disappointing considering we chose this as our last meal in Atlanta because of a post someone wrote about the dessert. I have to say, we left disappointed, and was not granted the comped Uber ride that they promote back to our hotel. Overall, the food was good, but not sure I would recommend. Too many negatives in one visit. Food was excellent as always. One of my favorite restaurants. El cordero, y los devil eggs son de otro planeta! The Waiter was very attentive and assisted us with all questions the overall experience was a great one. The food was amazing and the service was impeccable! I thought that an Asian soul food fusion would be very odd but it paired together perfectly! Met with some friends to catch up. Great bar tender, drinks and food was awesome. Great place! Poor Calvin's is across the street from where I live so I dine here often. I often bring friends here, especially those visiting from out of town. The food, as well as the service, is always excellent. 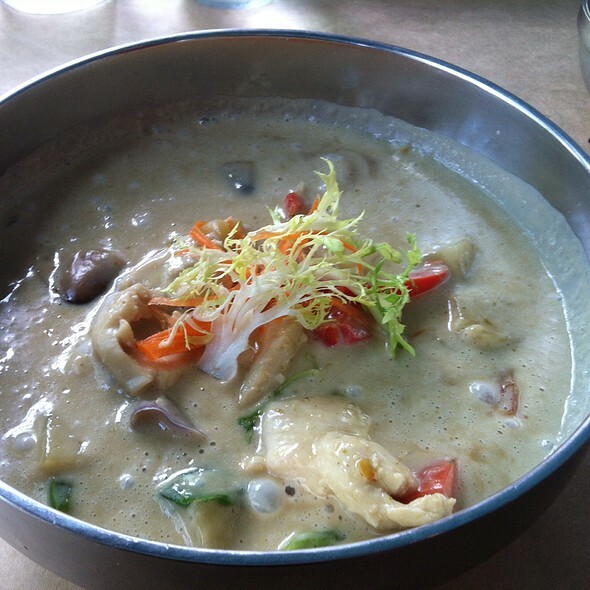 The menu is an imaginative mix of Thai and southern influences. The drink menu is well-thought as well. Definitely worth a try, reservations are usually a must. Best brunch in Atlanta. I would highly recommend Poor Calvin's. Great food would go make sure you make reservations. We had an absolute great time! The portions are giant so we went with a few appetizers and split an entree. The lobster wontons and fried chicken were beyond delicious, both unique takes on the dishes’ flavors. Mac, our waiter, was very helpful, personable, and provided great service! Already have recommended to friends.........but the menu can change unexpectedly! So when you fall in love with a dish it may leave and break your heart! Other than that small issue the food is insanely delicious. The ambiance is intimate and quant. The staff is professional, genuine, nice. Poor Calvins is one of my favorite spots here in Atlanta Ga.
Poor Calvin Neverrrrr disappoints!! Seems Iike the food taste better with every visit!!! And the service and staff are great!!! Looking forward to my next visit!!! Excellent food, cocktails, and service! Perfect location for my birthday celebration. Our second time at Poor Calvin’s entertaining customers. Outstanding this time and the first time. We will be back. Food and service is always exceptional. I will recommend this restaurant to anyone that is seeking to get more than you paid for!! The food was outstanding and the service was great but the seats were terrible. We were stuck back in a dark corner right next to another table so we get like we couldn’t have a private dining experience. 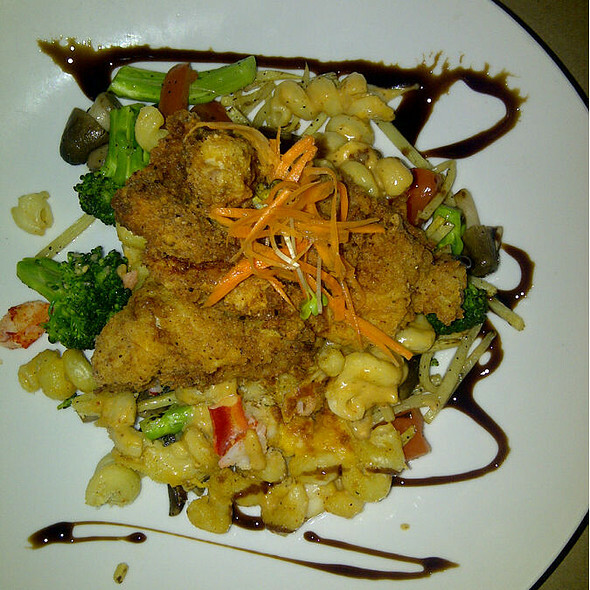 Calvin's is a great place for family, friends or couples to enjoy good food. It's close to being in my top 10 places to eat. The food is always excellent and the cocktails and ambiance too. The only issue we had was that we were late because of bad Atlanta traffic and I had called in advance to say that we would be late but by the time we got there the hostess kept saying that the “system” auto cancelled the table. She did give us our table but said we had to eat and leave in an hour and half......I just felt that they could have been more understanding of the situation and not be given an ultimatum. Great service. Great cocktails. Great food. Lola is an outstanding server. She’s friendly, funny and on the spot. Food was absolutely delicious. Great find for us. We’ll be back. Delicious! All our meals were exceptional!